In Japan, one of the cheapest broadband connections is SoftBank ADSL. The speed is said to range from anything between 3Mb to 50Mb, but actually it’s more like 10Mb down and 1Mb up. 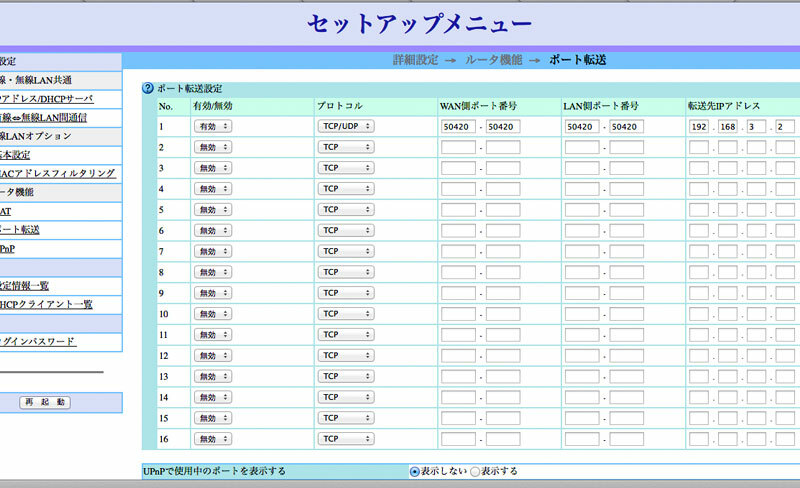 I recently got a connection from SoftBank and was struggling a bit with setting up port forwarding using two routers. So I decided to write a little quick and easy how to! 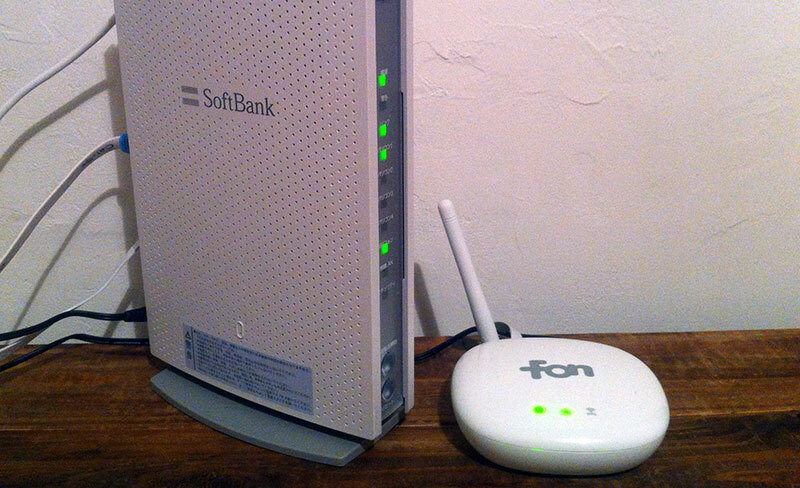 They sent one big wired router, (Softbank Trio3-G Plus) which is connected to the phone line, and another one for the Wi-Fi connection, a FON2405E Wireless Router. 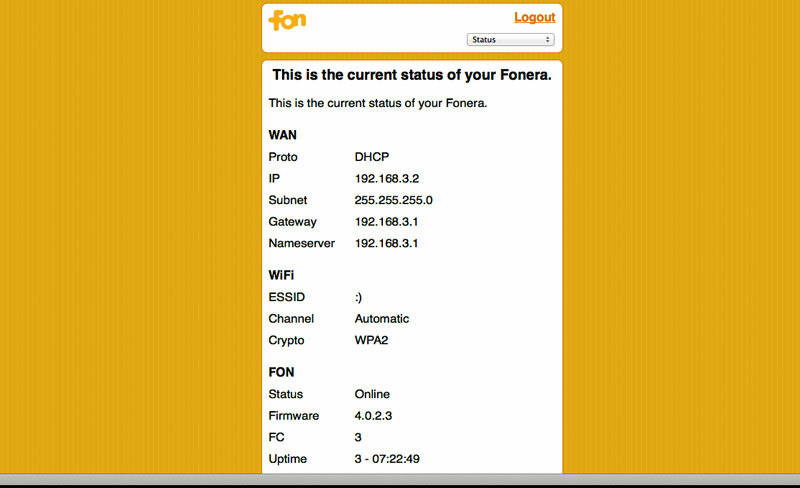 You can do all this connected wirelessly just to the Fon router. 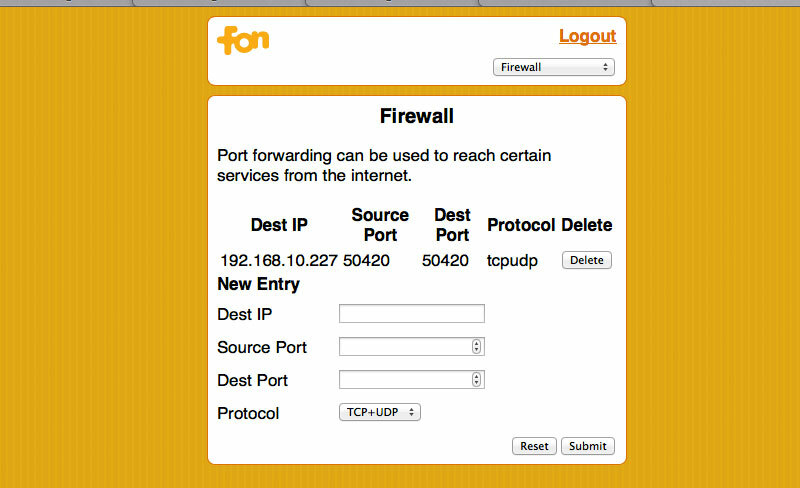 First, connect to the device backend by entering the IP address of the router, most likely at http://192.168.10.1/. The password is “admin“. Have a look at the status page and figure out the WAN IP Address. Both username and password is: “user“. Find out the internal IP address assigned to your Wi-Fi connection. In this case: “192.168.10.227“. 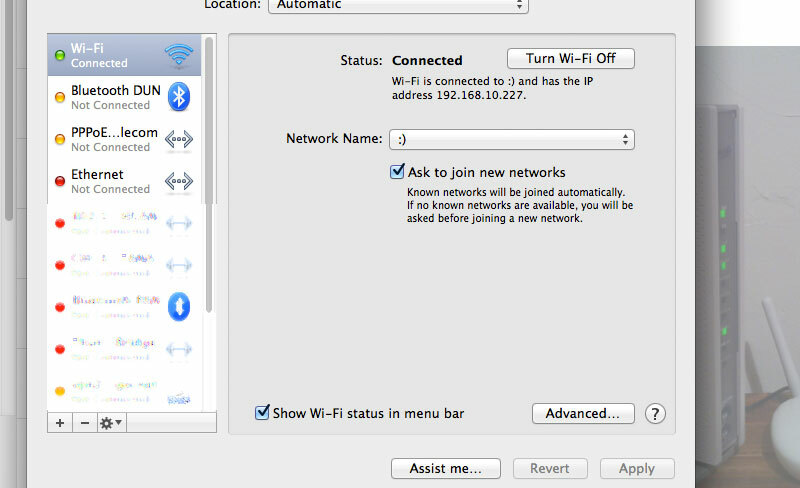 I’m using Mac OS X 10.9.3 and it’s as easy as going to “System Preferences -> Network -> Wi-FI” as shown above. 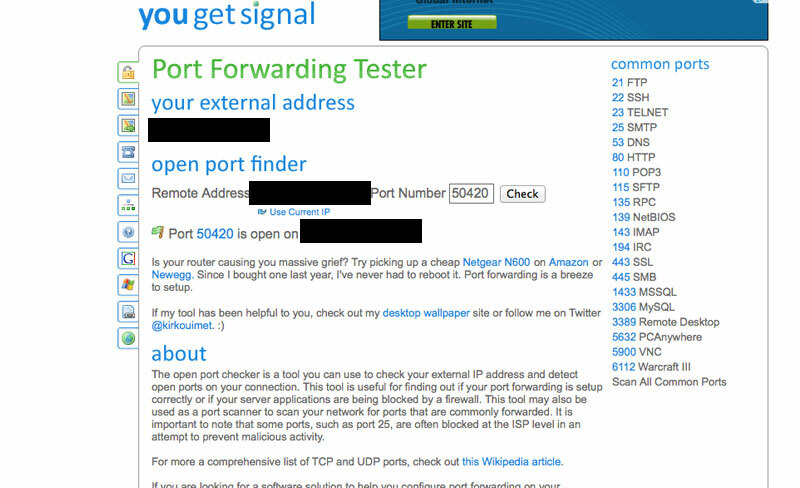 To test if your port is open to the world, go here and enter the port you just opened. You should get a green flag if your good to go. Sorry, I forgot this one. Please note! I forgot to mention that after setting up port forwarding on the wired Softbank Trio3-G Plus router, you should re-start it to make these changes permanent. It’s the button that says: “再起動” in the bottom left corner. Would be great to hear about your experience as well! So please, give us a shout in the comments section below.